On May 16, 30 people from the North of Munich met 30 international landscape experts from “LeNotre Landscape Forum” and walked Munich´s open spaces together. I came up with a route and introduced a set of rules (to walk in silence, to keep ten steps distance…) to inspire an intense engagement with the urban landscape. 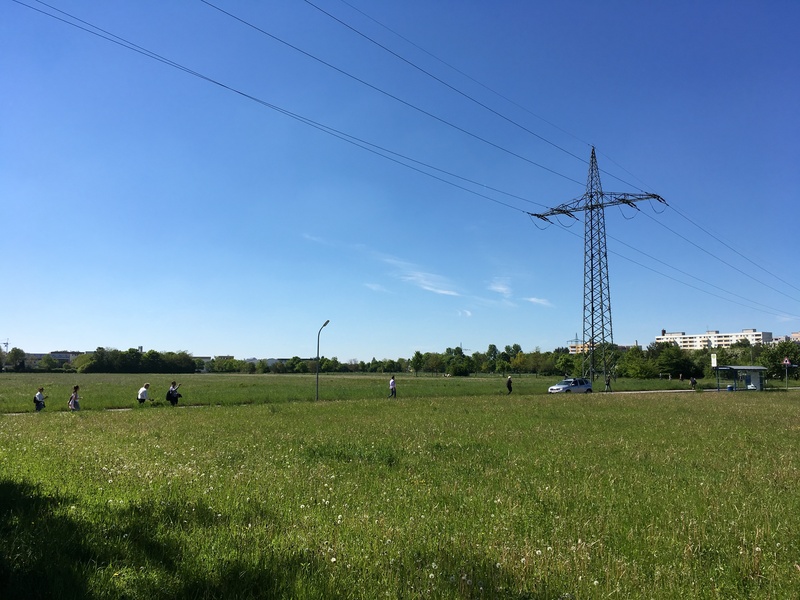 The reflection after the walk brought up relevant questions that should be addressed when designing the green spaces at Munich´s urban fringe. The walking workshop was the first of a serious of guided walks and part of the design study “Landschaftsbezogene Wegekonzeption für den Grüngürtel München” carried out by Börries v. Detten and me.